The Mayanot Blog: A Special Thank you! Fortunately for Mayanot, we receive wonderful thank you letters, from past students and Birthright Israel participants on a regular basis, but this letter was extra special and we wanted to share it with you. As you are our supporters and help make all the magic happen, we hope you feel as inspired as we did! This beautiful letter came from a Washington University student who attended our Birthright Academic, pilot program, this past summer. 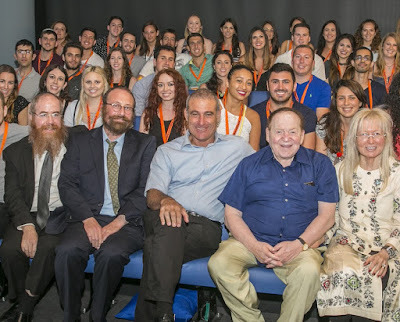 After finishing up my Birthright Academic paper, I wanted to share a few thoughts with you. Wow it's hard to believe that just over a month ago I was meeting 26 amazing people and 4 incredible staff members. Rather, it is more amazing that just over a month ago; I didn't know these people, who have become such an important part of my life. 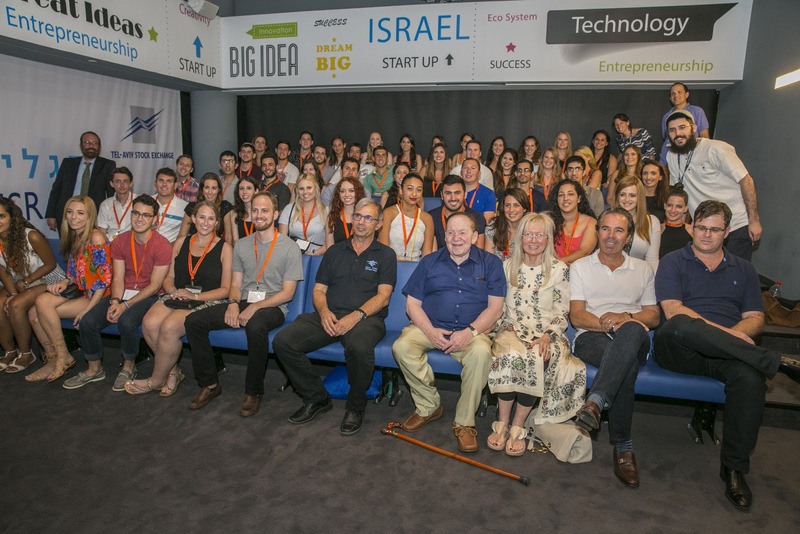 I would like to thank Mayanot and Birthright for everything that went into the incredible experience that was Birthright Academic! I'm going to be honest...because this wasn't my first trip to Israel, I didn't expect much. Sure, it's a beautiful land. Sure, I have considered aliyah for the last year or so, especially since I've been taking Hebrew in college. But I didn't expect the experience to be any different than previous trips. I certainly didn't think it could compare to my first trip, when everything was new. Well, Mayanot team, I am indeed a critical Jew, but you completely melted the heart of this cynic. :) Traveling on birthright was a life changing experience. It truly changed my life. I can definitely say it was just as exciting, or maybe more so, than when I first saw the Kotel at age 11, just before my Bat Mitzvah, and this was something I could never have expected going into it. Religiously, personally, and academically I learned so much about myself. I learned about the person I want to be. I learned how to open up and be a true friend. I had more fun with the group, just being our goofy selves, than I have had in a while. This was a special group of participants and staff who I really gained a lot from and who I feel will be part of my life for many years to come. For that I am exceptionally grateful. 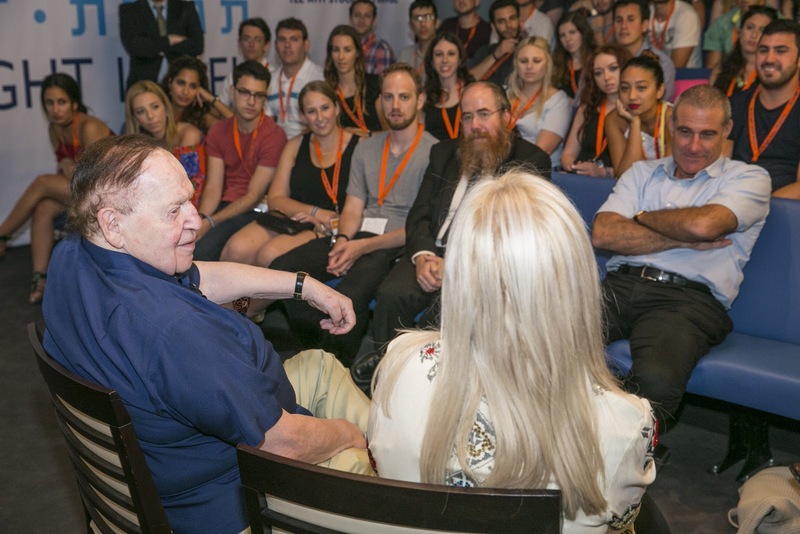 I think sometimes experiences come along at just the right time in your life, and this certainly was the case with birthright for me. My closest friends at Washington U tease me that, 'I should become a Professor of Israeli history', because my idea of a fun night is getting to watch a documentary on Yoni Netanyahu, an IDF officer that commanded the elite commando unit Sayeret Matkal during Operation Entebbe. I have a deep passion for Israeli history. I feel my purpose is to learn as much as I can. So, I wanted a more in-depth experience than just regular touring, and I wanted to be surrounded by equally serious and fun peers. With these hopes, the trip far exceeded my expectations. One cool anecdote: I spent the summer of 2013 lobbying with AIPAC for more Iron Dome funding, and on the trip we visited Sderot and I got to hold an Iron Dome rocket head. That really brought things full circle in a way only birthright academic, only this trip, could. Also, this past week I went to meet my Congressman. I interned for him last summer so we knew each other a bit. He votes on issues pertaining to Israel and I wanted to share my experience so he knows what an amazing place it is. We had a great chat about how at the end of the day, Middle East politics is about people. For me the academic portion really comes down to this: as I said to Gidi Mark, the CEO of Taglit Birthright Israel, I have attended 4 AIPAC conferences, I was part of the Tikvah Fund's year long fellowship and I read Times Of Israel regularly, but I learned more in the 13 days with Birthright Academic than I did from all three of those sources combined. Academically and culturally, the trip enforced for me, that while I love international relations, this is where I want to be. There is something special about the middle east- about Israel. Israel's history has an unbelievably powerful and rich energy and I want to be part of that for the rest of my life. I would ultimately like to extend a tremendous thank you and make a small ask. The ask is this: How can I get involved? Birthright academic is one of the most in depth, incredible programs out there for young people, hands down, and I want to see it succeed. I know it was a trial but I want to see it continue for others. Anything I can do, during the summer or during the year, let me know. Let's talk. I'm in! Hope to be in touch. Really all I can say is thank you.